Alberto Ascari had secured his second championship three weeks earlier at the Nurburgring, and he underlined his two-season dominance with victory in the Swiss Grand Prix. The local crowd were also treated to the sight of one of the pre-war Silver Arrows legends as Maserati brought in Hermann Lang for the still-injured Jose Froilan Gonzalez. 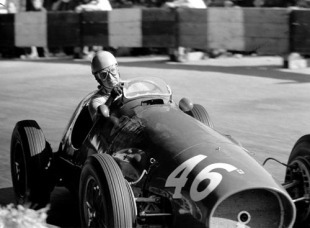 In practice Juan Manuel Fangio proved the quicker, but in the race itself Ascari took an immediate lead - Fangio hung on to him for 12 laps until he lost his second gear. Felice Bonetto was called in, they swapped cars and Fangio set off in pursuit of the three Ferraris. Ascari himself was having problems with his magneto and he too had to pit, dropping him back to fourth behind Nino Farina, Onofre Marimon, and Mike Hawthorn. When Marimon retired, that left the three Maseratis out front and the order came from the pits the drivers should hold position. Ascari, however, was in no mood to concede and he ignored instructions, overtook his puzzled team-mates and pressed on to his 13th and last Formula One win. A week later Ascari and Farina partnered to drive a Ferrari to victory in a 1000km race at the Nurburgring.